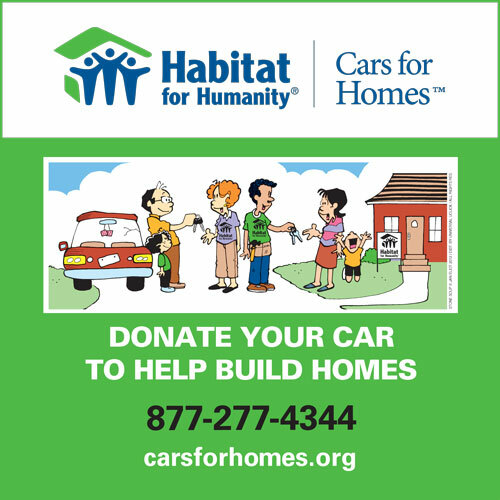 Your vehicle donation will help Habitat for Humanity build homes in partnership with families in Northwest Indiana. When you donate a car to Cars for Homes, you will help Habitat for Humanity of Northwest Indiana build and rehabilitate houses with families in need of affordable shelter. It can be accomplished online or with a toll-free phone call to 1-877-277-4344. If you donate an automobile or other vehicle, you may be eligible for a tax deduction.